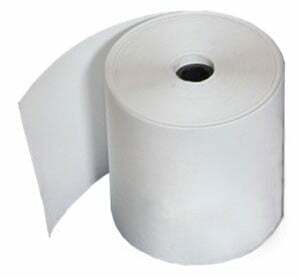 Zebra Z-Perform 1000D 2.4 mil Receipt - 4" x 574' 2.4 mil Thermal Receipt Paper, Single roll. Compatible with Desktop Printers. Also available as a 6 roll case (Part# 10010058). The Zebra Z-Perform 1000D is an uncoated, direct thermal, paper facestock with a permanent acrylic adhesive. Ideal for direct thermal paper applications that require limited durability. Suitable for use in a wide variety of industrial applications, especially shipping/mailing labels. The Zebra 10010058-R is also known as 10010058-R	or 10010058R	.